Bright (2017) – What's New on Netflix Canada Today! Set in a world where mystical creatures live side by side with humans. A human cop is forced to work with an Orc to find a weapon everyone is prepared to kill for. In an alternate present-day where magical creatures live among us, two L.A. cops become embroiled in a prophesied turf battle. Stars Will Smith. 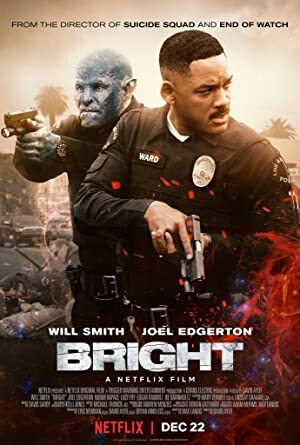 In an LA rife with interspecies tensions, a human cop and his orc partner stumble on a powerful object and become embroiled in a prophesied turf war.